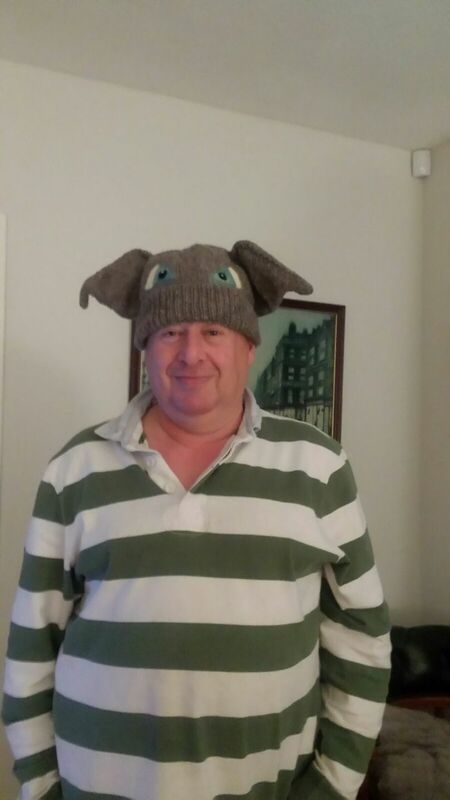 I was asked to design and knit a Dobbie hat by a friend. Her husband’s nickname was Dobbie. The hat was going to be a surprise Christmas present. Tina searched for the right colour double knitting wool she wanted for the hat, she had to go to a few different wool shops to find the right colour. To make sure the hat was going to be the right size I needed Tina to find a way to measure around Alan’s head without him knowing why! When I knew the measurements I needed to knit the hat to I knitted a test square to calculate how many stitches I needed for the main hat. 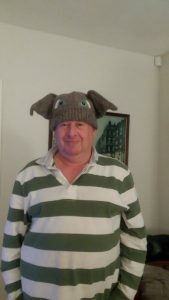 I designed and knitted the main basic stocking stitch hat, then designed and knitted his BIG ears. I decided to needle Dobbie’s eyes on the hat to get the details they would need. This is with one needle felted eye on the Dobbie hat. I needle felted both eyes on the Dobbie hat. 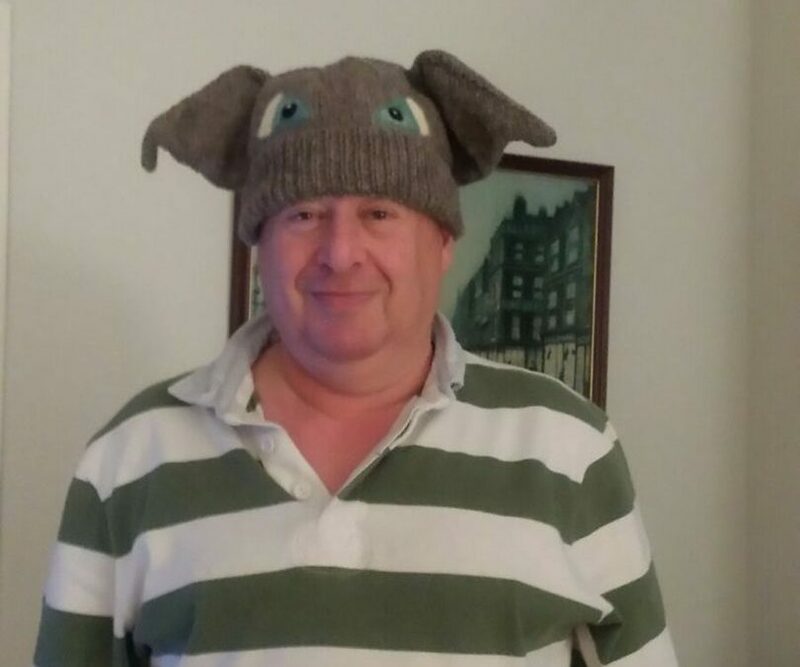 Alan loves his hat and wears it all the time.